Born in Raleigh, North Carolina, Cameron McCune began his ballet training at the age of 8 at the Raleigh School of Ballet under the direction of Mary LeGere. He joined the school’s pre-professional company, Raleigh Dance Theatre, at age 13, and began studying privately with Gyula Pandi the next year. McCune attended summer programs at the Raleigh School of Ballet, Miami City Ballet, and the School of American Ballet, and won a silver medal at the Youth American Grand Prix in 2012. 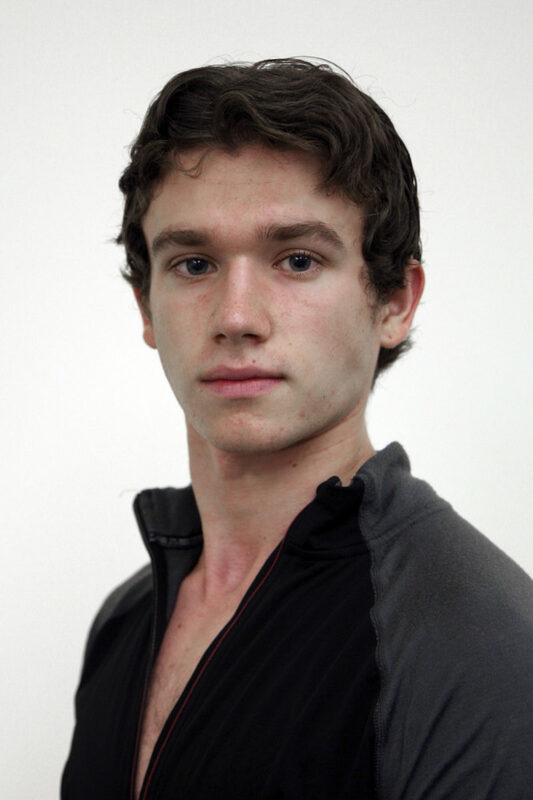 McCune joined ABT as an apprentice in 2013 and the corps de ballet in January 2014. His repertoire includes Village Notary in La Fille mal gardée, the Young Soldier in The Green Table, Spanish Dance in The Nutcracker, a Fairy Cavalier in Ratmansky’s The Sleeping Beauty, leading roles in Symphonic Variations and Thirteen Diversions, and featured roles in The Brahms-Haydn Variations and Songs of Bukovina. Mr. McCune’s performances with American Ballet Theatre are sponsored by Brian Vincent in honor of Phoebe Brantley.